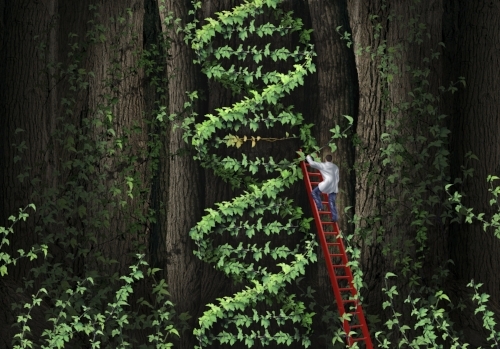 With the growth of tests like those from Ancestry and 23andMe, questions naturally arise. These tests promise to connect people to unknown genetic relatives, reveal ethnic background, and possibly uncover latent health factors. Most of the time, no huge discoveries are made from an at-home test. But there is a lot to consider before diving in, as some sticky situations are arising for a minority of testers. Many of the points to consider are tucked away in the terms of service you agree to when you order a kit. Many people find tremendous value in the results they receive and say that DNA testing has filled in a piece of the puzzle that couldn’t have been filled any other way. The promised benefits outweigh the possible risks for many. Consider speaking with me or another genetic counselor as you explore your options and are making a decision. Genetic counselors are specially trained professionals who can help you think through and understand the terms of service you’re agreeing to when you hand over your DNA sample, whether to a consumer testing company or in the medical clinic. Whether the testing you consider has implications for health, family, or ancestry, there’s no better time to think ahead about the results to come than the moment you swab your cheek or spit in a tube. This article was originally published in the November 2017 Trail Living Magazine and is published with consent of the editor. Newer PostHow do you check out an online DNA test for its reliability? Older PostOn the first day of Christmas, my true love gave to me…a DNA test? !